Last week USA Today reported there are 42 million registered Democrats, 30 million registered Republicans, & 24 million people who identify themselves as Independents. This is just another indication that we are outnumbered. I have repeatedly pointed out that every lover of freedom should find & convert @ least three statists to vote for anti-statist candidates in whatever level (local, state, presidential) election they are comfortable with in 2012. This means finding & supporting candidates who will make a mindset change in the way our people think not necessarily only the ABBO (anybody but BO) idea but far greater than that. We have to eliminate the slow burn toward socialism not just concentrate on one election no matter how terrible the outcome of that election might be in the short run. Friedrich Hayek dedicated his classic book The Road To Serfdom "To The Socialists Of All Parties" & we have a plethora of socialists in both major parties today – we need to rid ourselves of them starting with BO. In an analogy to the housing market we have to clear the houses needed to be foreclosed before the housing market can turn around. We also have to clear out the socialists @ every level before we can return to the excellence of our founding. Because of the business cycle the economy may be starting to temporarily improve – if your washing machine broke down several years ago you may have to go buy a new one if you are tired of washing your clothes in the nearby stream. But neither the business cycle or total thrift will return our economy to the needed prosperity & certainly none of BO's policies will either. 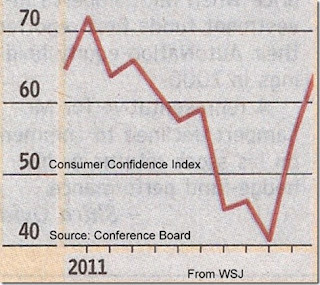 The above graph indicates that our work may be getting harder as some parts of the economy pick up just in time to help BO – note the sharp recent upturn in consumer confidence. Now I am not favoring a rotten economy just to get BO defeated by a Republican candidate who may be every bit as bad as BO or one who only slows the burn to socialism. But I do know from the above listed statistics that every one who reads these messages should make & keep a New Year's resolution to go out & find & convert @ least three statists (relatives, friends, neighbors, co-workers, etc.) to vote for anti-statist candidates if we are to have any chance @ all. Ron Paul got his turn in the subject barrel after he moved into the lead in the polls before the Iowa caucuses. Last week Congressman Paul gained much notoriety by supposedly walking out of a too-tough CNN interview that questioned so-called incendiary racial remarks made in twenty year old newsletters that were published under his name such as Ron Paul's Freedom Report, the Ron Paul Survival Report, the Ron Paul Political Report and the Ron Paul Investment Letter. At the time of most of these publications Dr. Paul had left Congress & was practicing medicine – a practice that includes being an obstetrician and gynecologist during the 1960s and 1970s, delivering more than 4,000 babies. Although Dr. Paul has repeatedly disavowed the controversial remarks in these newsletters you can judge for yourself the validity of the claims by clicking on the CNN edited version of the entire interview that was shown on CNN (130,695 views on the internet plus the hundreds of thousands who saw it on CNN) & comparing it to the total unedited version (22,305 views on the internet). Please notice how the edited version actually shown on CNN only focused on the incendiary matters that will have very little if any effect on your life if Congressman Paul is elected president – this is an example why I stopped watching the Communist News Network years ago. Compare that to Congressman Paul's answers in the unedited version regarding regulating lobbyists' rights to petition the government, the description of how a declaration of war works, & why he would have used the principles of Letters of Marque & Reprisal after 9/11 to go after the Islamic fascist terrorists. Returned from Cleveland on Friday from the funeral of Carol's mother to find much support from those of you who knew of my mother-in-law's death including the message below & the home made Christmas card from a long time member & dear friend who I hope to see more often. Doug, the video was delightful! I've posted it to my 40+ Facebook friends. Attached is this year's Christmas card, drawn by my husband Ed, who is an illustrator as well as an author. The expression on the baby's face is inspired by the expression on our son's face, who smiled from the moment he entered this world. 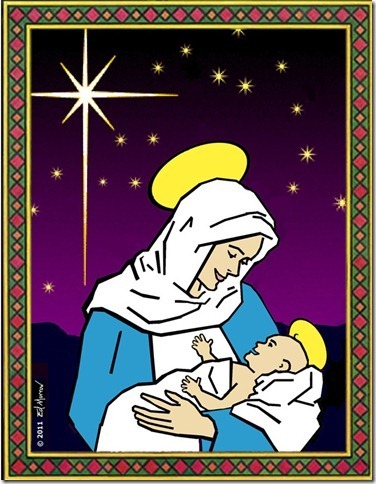 So often, depictions of Mary and her Child are, understandably, solemn. Ed captures the Mother and Child's mutual joy. May you and Carol and all the good people in this group have a most joyous Christmas! Thanks to a very long time subscriber for sending along this beautiful Christmas card & to NJ Senate candidate & great friend Anna Little for sending this latest Flash Mob video. Merry Christmas everyone. Click here to hear the subject message sung by the ACLU Choir – no, not what you are thinking. It is the American Christian Life United Choir. The song has a good message – do not financially support enemies of America. For instance, why would anyone buy The NY Times? As a follow up to the last message re the chance we would be taking by overlooking, accepting, or forgiving the inconsistencies of Newt & Mitt I have pointed out several times that only Ron Paul, Michele Bachmann, & Gary Johnson, of the current Republican candidates, have life long consistent positions so you know with a high degree of confidence what they will do if elected. Click here to hear a compilation of Ron Paul’s answers in last Saturday's debate as an example of Congressman Paul's consistency. The above tabulation shows the overwhelming congressional support that Mitt Romney has gathered in his bid to be the Republican nominee. 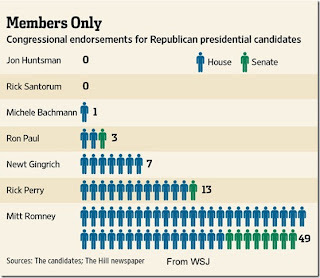 The establishment old guard really wants Mitt – seems they think it is his turn. But with Newt Gingrich's excellent performances in the last several debates propelling him into a commanding lead in many polls Mitt has once again run into a problem. The problem for Newt is that we still keep hearing about his baggage that will supposedly weigh him down if he is the GOP nominee in the general election. Although I too am impressed with Newt in these debates I made the observation in a recent posting that in order to not be fooled again, like our country was by BO in 2008, it is best to contrast catchy one liners from debate performances (or even the entire debate performance) with years of an actual record. By this standard the only three unblemished believable candidates are Ron Paul, Michele Bachmann, & Gary Johnson. So with the above in mind I looked up some of Newt's baggage on issues for the purpose of showing what has to be overlooked, accepted, &/or forgiven by the electorate before they take a chance & vote for him. If the recent polls are correct it appears that many primary voters already are forgiving the points below – the next month will tell. This is not meant in a mean spirited way & is certainly not an endorsement for Mitt who has every bit as much baggage as Newt, if not more. The list below is specific for Newt but many similar flip flops pertain to Mitt also - socialized medicine, carbon taxes, abortion, & second amendment rights off the top of my head. Massachusetts based Democrat strategist Mary Ann Marsh summed up Mitt when she said "I have followed Mitt Romney for 17 years & he has been on every side of every issue during that time." 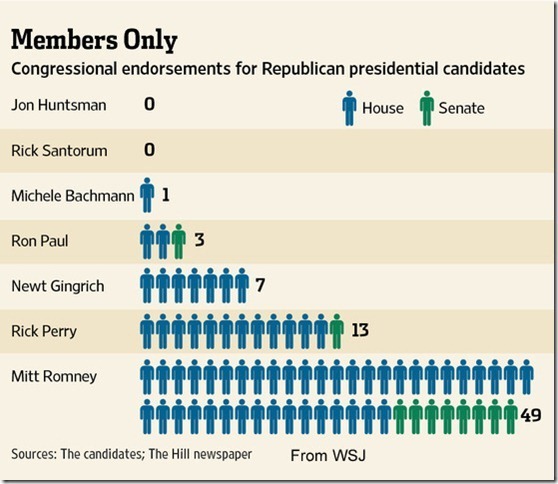 Is there a difference between Newt, Mitt, & BO in the not very long run? Look @ the record below & then decide if the current GOP front runner will make the difference we need in returning our country to its founding excellence. Has he or any one else earned your vote? Newt switched from originally being against TARP to supporting it after some businessmen & Bernanke & Paulson convinced him to endorse it. Click here to hear Newt's account. Click here to hear two very different but each just as authoritative positions on Libya. Newt speaks just as authoritatively on every issue in the debates as he did on both positions presented in the video. Click here to see the famous video with Pelosi. Please notice they are sitting on a love seat - not a couch. Newt has called for more federally funded climate research & a range of tax credits for renewable energy investments. In April 2007 Newt advocated Fred's business model only now to say he warned the company of big problems ahead (after collecting $1.6 million in fees over a ten year period.) Newt said he thinks "there are times you need government to help spur private enterprise & economic development....It is not a point of view libertarians would embrace but I am more in the...Theodore Roosevelt traditions of conservatism." Comparing himself to TR was exactly what BO did regarding himself in Kansas on December 6. A distinction without a difference? Mitt claims that Newt repeatedly favored the individual healthcare insurance mandate idea long before RomneyCare was instituted in Massachusetts. BO claims that ObamaCare is modeled after RomneyCare. Newt now says the individual mandate is unconstitutional. Who is right? More importantly - are all of them wrong? Although I don't agree with all of it because it is too timid Paul Ryan's budget plan has been the most courageous proposal in years. It contains one of the true ways to properly modify Medicare & change the mindset of this country for the better. Since it passed the House (not the Senate) last April Mr. Ryan has been booed @ his own town hall meetings. Newt originally criticized it as "right-wing social engineering" – he then changed his mind. Click here to hear Charles Kauthhammer discuss this & the individual mandate – better overlook Charles' prediction in the video since Newt is now the front runner. 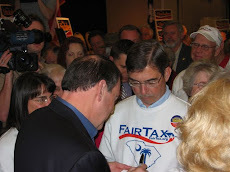 Newt certainly knows the details of the FairTax & yet does not openly support it the way Mike Huckabee did (does) or Gary Johnson does. 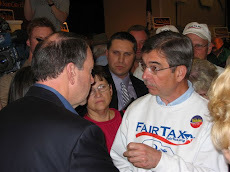 "Take your pick from John Boehner to Rush Limbaugh to Newt Gingrich & everyone in between & you have to wonder why they are not for the FairTax. Or do you?" As a follow up to the last posting entitled The Poverty Deception I thank our SC businessman for providing this link for the video that was presented to him by one of his local Tea Parties. The video illustrates that living standards around the world are a function of economic liberty. Common sense isn't it? John Goodman wrote in 2008 that Professor "Friedman believed that capitalism confers its greatest benefits on people @ the bottom of the income ladder. People @ the top would have done well under any system. It is people @ the bottom who are most liberated by markets." Mr. Goodman may very well have based his remarks on Professor Friedman's writings in one of his classics – Free To Choose – where the Professor wrote "Wherever the free market has been permitted to operate, wherever anything approaching equality of opportunity has existed, the ordinary man has been able to obtain levels of living never dreamed of before. Nowhere is the gap between rich & poor wider, nowhere are the rich richer or the poor poorer, than in those societies that do not permit the free market to operate." If I may be so bold (humbly) to paraphrase Professor Friedman – the rich do not exploit the poor – the poor come along for the ride of an enriched life in America. If you don't believe me just look @ the list of comforts of what is considered poverty in America presented by Robert Rector of the Heritage Foundation in the last posting. No where in the history of the world has the poor in society benefited or lived so well like they do in America. Now even with all of this said, it is important to realize that @ no time in Professor Friedman's adult life did we have a totally free economy in America. We had as Susan Lee wrote a quarter of a century ago "A mixed economy - an economic system that falls somewhere between a totally free market & a government directed one; that is, an economic system that has characteristics of both capitalism & socialism....the United States has a more equal portion of both." Now just imagine the unlimited possibilities & potential of human endeavor if we could only find a presidential candidate who would return us to the excellence of our free market founding.